As large as California is, it doesn’t have as many oyster habitats as you would think. 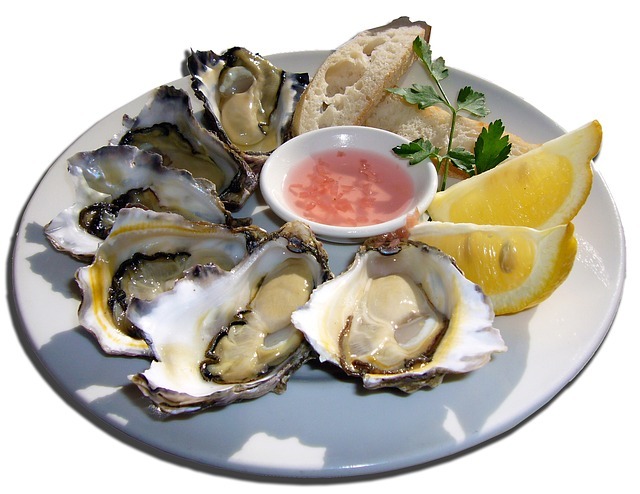 Native oysters dwindled in the mid-1800’s, but, thank goodness, were replaced in select locations by introduced – and now thriving – species in the early 20th century. Luckily, the oysters (mostly variations of Pacific and Kumamoto oysters) that the region does produce are just plain delicious, and these five fantastic oyster bars are happy to serve them to you. L & E Oyster Bar, located in the heart of Silverlake, showcases the best of what North America’s oyster fisherman have to offer. Each day L & E receives shipments of the best oysters available – oysters that are harvested, packed, and shipped that same day. Follow L & E on Twitter and find out in real-time where your dinner will be coming from! You know your oyster bar is serious about its signature food when its first menu item is The Daily Dozen. Executive Chef Spencer Bezaire delights in producing a local, seasonal menu that focuses on the best oysters sourced from both coasts. L & E boasts both a wine and beer director, too, so you can be sure that your favorite oyster dish will be paired with an equally delicious beverage. The farm rents out tables to those wanting to eat their oysters really fresh. Oysters can be purchased by the dozen or in bags of 50, and you can enjoy them while overlooking the bay. If you’ve opted for the big bag, you might consider taking a post-meal walk along the farm’s stretch of bay-front beach. A favorite with locals and a must-try destination for visitors, Bistro Boudin boasts a fantastic view of San Francisco Bay – and, of course, some of California’s best oysters. Raw oysters come solely from the west coast, and you’ll find traditional oysters like the Rockefeller as well as BBQ baked oysters, too. Located in Fisherman’s Wharf, this full-service restaurant is not to be missed for its oyster and champagne pairings, traditional San Francisco sourdough bread, and decadent cocktail lounge. Nestled in Marin County in the heart of Bolinas, the family-owned Coast Cafe puts fresh-caught oysters at the center of their local, seasonal menu. Drakes Bay oysters feature prominently at Coast Cafe, where you can enjoy them fried, baked, or as the featured ingredient in a stew containing greens, mushrooms, and leeks. Wine plays a big part at Coast Cafe, too, with an impressive choice of organic wines available by the glass or bottle. Make reservations for Thursday evenings, when your locally farmed and fished meal will be accompanied by live music. Yankee Pier Lafayette is a bustling seafood restaurant featuring local oysters, lobsters, clams, and more, served with a nod to New England tradition. Locally sourced produce, house made desserts, and a full bar also await you on your visit to Yankee Pier. One of only two area businesses to receive the “Environmental Excellence Award” from Sustainable Lafayette and the city council, Yankee Pier Lafayette is proud of their commitment to sustainable sourcing of seafood. Can you think of any other great California oyster bars that we missed? Let us know in the comments section below! 3 Responses to "5 Phenomenal Oyster Bars in California"
I am happy to find this list of Oyster Bars. This list makes it easy to start in L.A. and then drive up the 101 stopping at each bar for their version of oysters. When I was a boy, my parents would serve them with hot sauce and pepper. Wow, this sounds amazing! I had no idea there were so many great seafood bars in Cali! Seems like it is time to hit the bars and start tasting these wonderful oysters you write so highly about. Thanks so much for sharing such an awesome little list, I cannot wait to start trying some of these whenever I am in Cali! This makes me want seafood tonight. We live in Australia and like California we have great seafood.